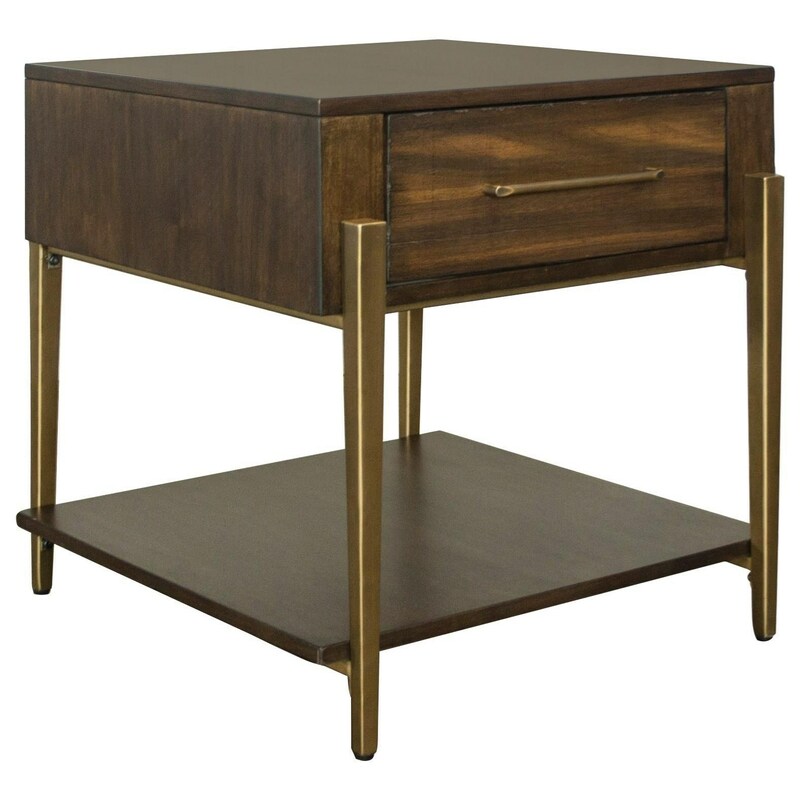 This sleek and modern Rectangle End Table will add a touch of refined sophistication to your living space. 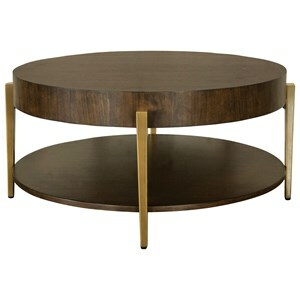 The piece boasts a deep Roasted Walnut finish that pairs extremely well with the gold color of the metal legs. Furthermore, the fixed bottom shelf provides more convenient space for storage and display, while the single drawer is perfect for ridding your space of clutter. 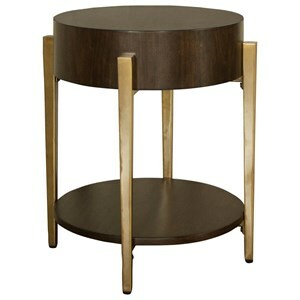 The Dekker Rectangle End Table in Roasted Walnut Finish by Riverside Furniture at Furniture Superstore - Rochester, MN in the Rochester, Southern Minnesota area. Product availability may vary. Contact us for the most current availability on this product. 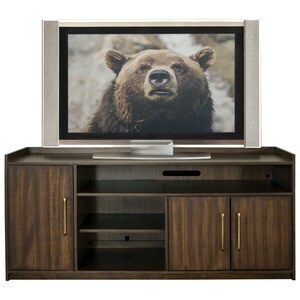 Contemporary but also modestly familiar, this collection of occasional and home theater furniture was made for any and all homes. 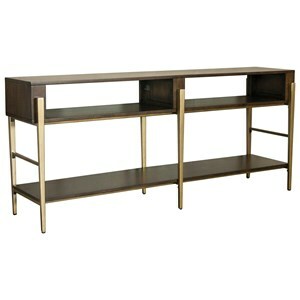 A roasted walnut finish is paired with golden legs and hardware to create a warm atmosphere with just a subtle touch of glitz and glam to keep things interesting. 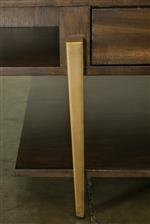 The Dekker collection is a great option if you are looking for Contemporary furniture in the Rochester, Southern Minnesota area. 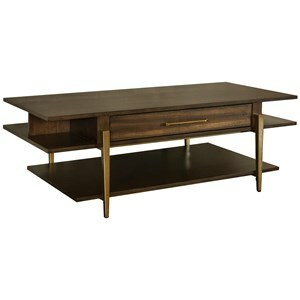 Browse other items in the Dekker collection from Furniture Superstore - Rochester, MN in the Rochester, Southern Minnesota area.